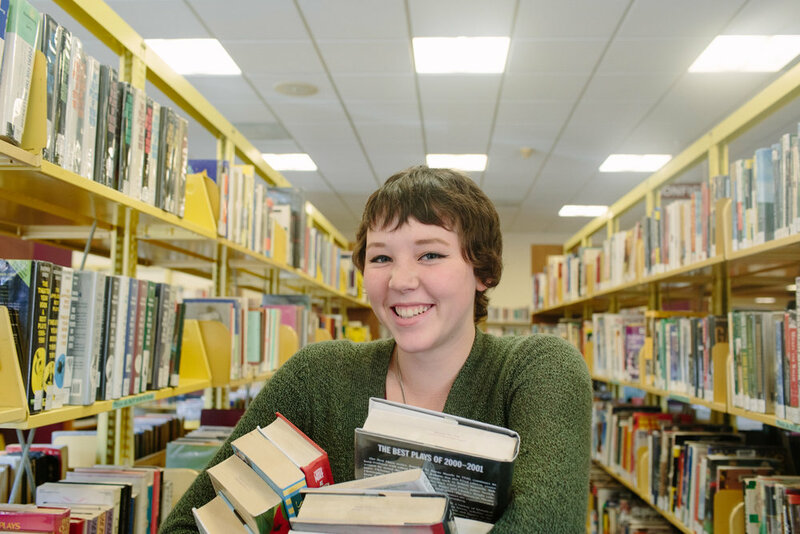 I was hired by Santa Cruz Public Libraries and Miller Maxfield to create images for their Find Yourself in the Library campaign. The library was interested in sharing the variety of patron stories and programmatic activities occurring on a daily basis at the various branches. I spent a couple of weeks visiting the different branches and meeting patrons of all ages. It was inspiring to see the many services, activities and spaces that our libraries provide. Miller Maxfield then designed and developed the campaign that utilized these images, which was shared on a number of platforms, including social media, buses, and ads in the local paper. And a short video was screened in local movie theaters. Walking into this project I thought I knew a lot about the library's services, but I saw so many inspiring moments, so many packed rooms, and in particular so many engaged kids. I also got to see how the library reaches across the digital divide and language barriers that exists in Santa Cruz County. My favorite moment was watching the Bookmobile pull up to an apartment complex, and a group of kids run out to meet it, books in hand, shouting "The Bookmobile is here, the Bookmobile is here."